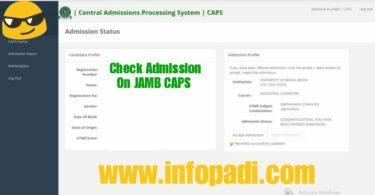 I mistakenly rejected my admission on JAMB CAPS what do I do? I mistakenly accepted admission on JAMB CAPS but I want to go to another school what do I do? The above questions have been asked numerous times by our readers. We decided to write this post, in other to be reach out to everyone experiencing these challenges. We strongly advise you to carefully read this update and also ensure you inform all your friends by sharing this post with them. You can use any of the social media buttons displayed on your screen to share it. If you are wondering what to do when you mistakenly accept or reject your admission on JAMB CAPS Portal, wonder no more as we are bringing to you the perfect solution. All you have to do is to simply go to the JAMB office and lay your complaint, tell them you mistakenly accepted or rejected your admission; they will further direct you on what to do. 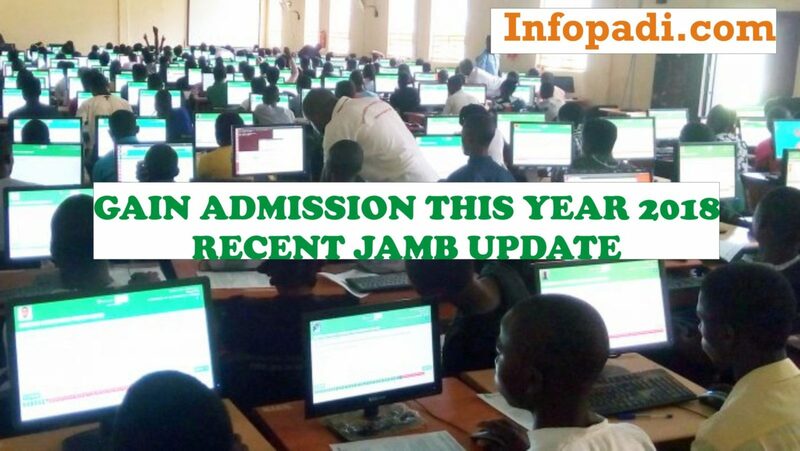 If you see “not admitted” on your JAMB CAPS portal do not panic, it simply means you have not been offered admission by any school yet. Under no circumstances should you click on “accept” or “reject” button until your admission status is showing “admitted” and you are convinced about the decision you want to take. Wait for your institution of choice to release its Admission list, which would change your JAMB CAPS ADMISSION STATUS from, “not admitted” to “admitted” then the choice is yours whether to click on the “accept” icon or “decline” if you don’t want. If you want to accept an admission, please ensure that you have received an admission notification from the institution (school of your choice). For more admission updates, kindly subscribe to this website using your active email address. Subscription is totally free. Can school reject an admission given to you by jamb? If jamb give you admission on jamb portal, will your name comes out from the school list? I was given admission in my first choice institution, but i dont want the school anymore. Can i still get admission in my second choice institution if i didnt accept the first one? Pls i am confused, i need answers. i have been given admission on caps in my school of choice but my admission status on the school portal is still showing admission in progress pls what do i do? please I did change of course and mistakenly accepted the old course.. what should I do?? My school of choice Gave me admission but jamb has not given me admission because of I didn’t upload my o level to jamb, so the school sent me message that I should go and upload and after the upload it has been two week now and my jamb status is still the same what do I do? Please I mistakenly accepted admission on my caps but I haven’t been given admission yet what should I do??? What happens when one’s admission is reversed or didnt accept the admission within the time frame given by JAMB?